This month, we have news of joint Breakfast and Lunch meetings opening up simultaneously at one venue, where business is brisk, despite current uncertainties. Barnaby Roe features in our Business Profile, and we hear about two Network B2B members training hard to raise money for charities. We also have an opportunity to take part in an advertising spread that will offer maximum exposure for minimum expenditure. If you’d like to contribute to next month’s Newsletter, please see the box at the bottom of the page for our editorial guidelines. In the meantime, we hope you enjoy this edition, and wish you happy networking! The newest addition to Network B2B’s ever-expanding number of meeting places is the four-star George Washington Hotel in Washington, Tyne and Wear. Perfectly placed for attracting businesses from Sunderland and Newcastle, the hotel also sits a short Nissan Leaf drive away from one of Europe’s biggest car factories. Not only is Washington a thriving business centre, but the International Advanced Manufacturing Park, due to open soon, will equal the size of Nissan itself. So the George has taken the ambitious step of launching a Tuesday breakfast meeting and a Thursday lunchtime session. Ian Gray, the hotel’s General Manager, says that it made sense to link up with Network B2B, given the business potential in and around Washington. And things are off to a good start, with both groups having taken off very quickly. If you’d be interested in attending either of the meetings, get in touch with us for more details. This month we meet Barnaby Roe, who chairs the Wakefield Breakfast group. 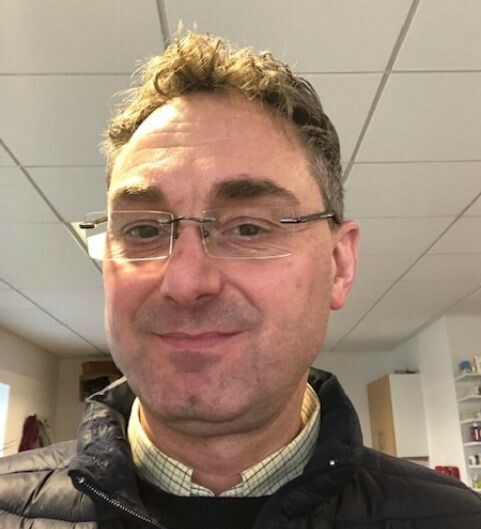 Barnaby is the Managing Director of the Wakefield Pharmacy, an independent, NHS-approved pharmacy serving the residents of Wakefield and the surrounding area. The Wakefield Pharmacy offers a repeat prescription service, organising, dispensing and delivering prescriptions to customers. This is a particularly useful service for the housebound and elderly, busy parents with families, time-short professionals, and carers. Barnaby says that his experience of networking has been brilliant, giving him an opportunity to meet so many different, motivated business people who are all keen to support each other. The 1-to-1 sessions that his members carry out each week are invaluable in helping everyone to understand each other’s businesses. Barnaby says that he would recommend B2B as a great way of meeting new like-minded people, and finding support with any issues the members encounter, in a safe and low pressure environment. Would you like to make your Network B2B membership work even harder for you? Angus Long, Director of Impression Marketing, has proposed a double page advertisement in a premium north-east business magazine. Northern Insight has a monthly distribution of around 5,000 copies to leading businesses, and leisure and hotel outlets, and a readership of over 15,000. The advert would carry the Network B2B branding, and could be divided into slots for individual Network members. If ten people took up the offer, they would pay only £85 each for their slots, whereas the full price of a double page spread is usually around £1,000. This way, lots of Network members could benefit from very wide exposure, at a fraction of the usual cost. 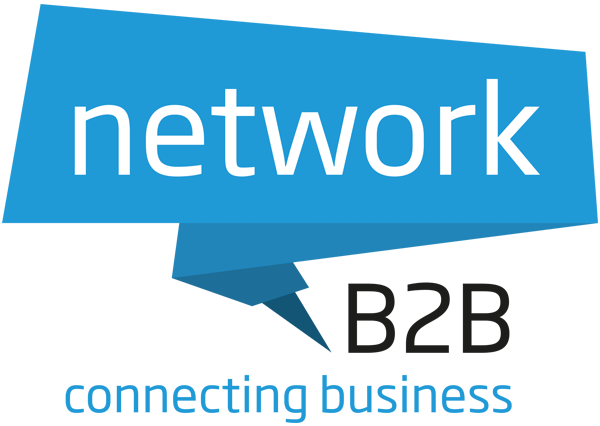 Angus says that the February edition of Northern Insight will be featuring an article about networking, and specifically Network B2B, which will set things up nicely for an advert in the March issue of the magazine. If you would be interested in being part of this advertisement, please get in touch with Angus Long for more details. Louise Daly, who represents York Racecourse at the York City B2B group, is taking part in the London Marathon this year, to raise money for a very valuable cause. This will be Louise’s first ever marathon, and she’s running in aid of SANDS (The Stillborn and Neonatal Death Society), a charity that works to support anyone affected by the death of a baby. We wish Louise the best of luck for 28th April. If you’d be interested in sponsoring her for this wonderful cause, please go to her Virgin Money page, where you can read her story. Network B2B member Phil Pugh, and his team-mate Paul Hopkins, are aiming to row in the Talisker Whisky Atlantic Challenge in December, to raise money for Tiny Lives and The Fire Fighters Charity. They have a number of fund-raising events planned between now and then. On February 21st, from 9am, a small team of rowers will gather at The Gate in Newcastle upon Tyne, in an attempt to knock 2 hours off its previous world record 1,000,000 metre row. They will finish at around 2pm on February 24th. You are welcome to come and cheer the team along, and have a chat with them about their boat – Atlantic Dream – which will be on display outside the main doors of The Gate. 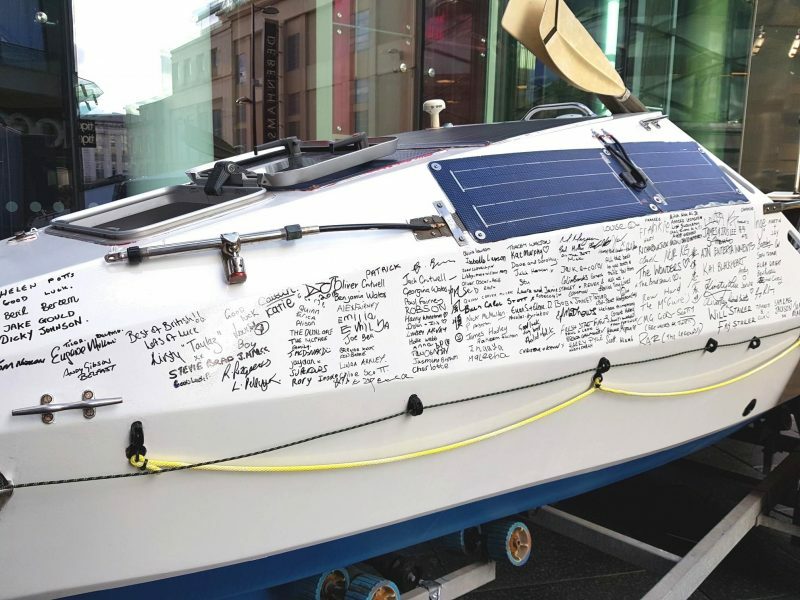 Members of the public are being invited to sign the boat for a small donation to the chosen charities – their signatures will travel 3,000 miles across the ocean! Welcome to your December Newsletter!